Hey Timovieman, you still look the same as last time I saw you. I’m 15 kg lighter, though. At home with guests on Christmas Eve and with my parents on Christmas Day was fine. I wasn’t the only one with a tacky sweater. Going to the cinema yesterday evening to see Aquaman was a different matter. I felt ridiculous when the lights were on and my coat was off. 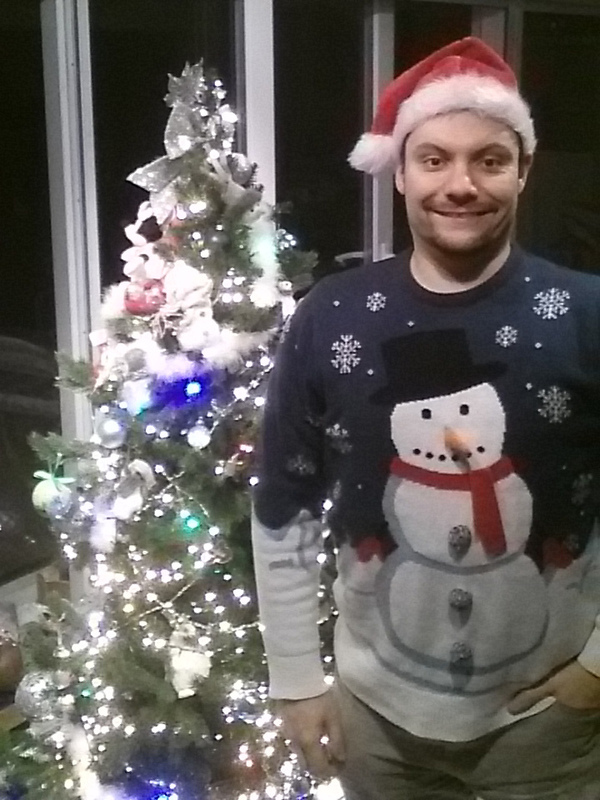 You look good, Timo, and that Christmas sweater is quite tame compared to some I’ve seen. I don’t have any pictures, but I went to a party wearing a headband with an attached 12” Christmas tree, a t-shirt with a Christmas tree design, and a sweater with lots of cardinals perched on branches. My sister had on a Santa hat and a poncho that looked like Santa’s coat. We got a few double takes while driving to the party, but we just smiled and waved. That chinless ersatz with pillows for armor is nothing but a scrawny rookie trained by the late Deputy Chief Judge Fish. RIP. EDIT: And the glorious ‘95 adaptation was better in almost everything compared to the most recent bleak one. The pre-CGI special effects made the comics come alive, giving it also a charm akin to a Fifth Element/Demolition Man/Total Recall. The two lawbreakers known as ABC Warrior and “Mean Machine” were a sight to behold… BUT, above all, it gave me the best theme a Judge could ever ask for. EDIT 2: What I’m trying to say here is that Robocop did it better.